US homes use an average of 48% of their total energy on space heating and air conditioning their homes. 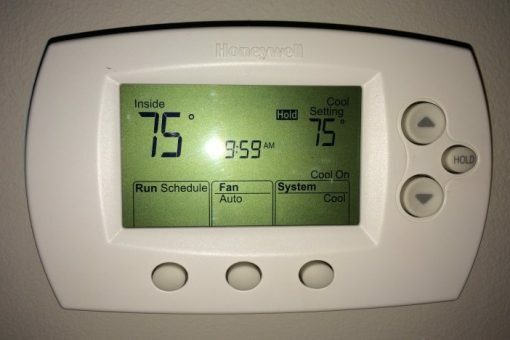 Using a programmable thermostat can help you cut down that number by consistently keeping your home at a preset, optimal temperature. This can save you money and precious natural resources. I have been really happy with this Honeywell programmable thermostat. It is a basic model and is really easy to program. Other features I like include the ability to program different settings for weekdays, Saturdays and Sundays as well as multiple temperature changes in one day. It also has a flip out door that allows for easy battery replacement without removing or disassembling the thermostat.